Hugh Tracey spent most of his life making field recordings of sub-Saharan African music; he probably did more than any other human to open the world’s ears to Africa’s sounds. 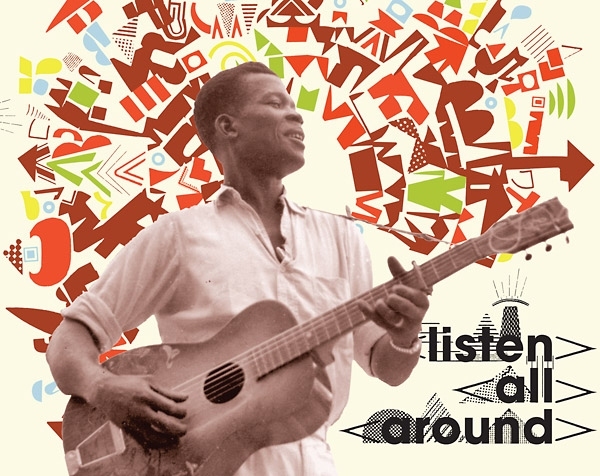 Now Dust-to-Digital and Tracey’s International Library of African Music have partnered on this package of 2 CDs and an 84-page hardbound book about the 1950-58 recordings of popular (not folkloric) music that Tracey made in what’s now the Democratic Republic of the Congo, Kenya and Tanzania. This is the music that immediately preceded and overlapped with the development of rumba Congolaise and soukous, the most widespread and impactful popular music Africa has so far produced. So the set is valuable for that reason alone, plus much of the music here is just glorious in its own right. You hear the influences of jazz and highlife (disc 1-track 23 and 2-13), Cuba (2-5 and 2-7), South Africa (2-20) and military bands (2-19). You get fingerstyle guitar (1-7 and 2-4) and even American country music (1-15). Best of all are 1-2, 1-3 1-4 and 1-6, pretty much fully formed and ready for their star turn.